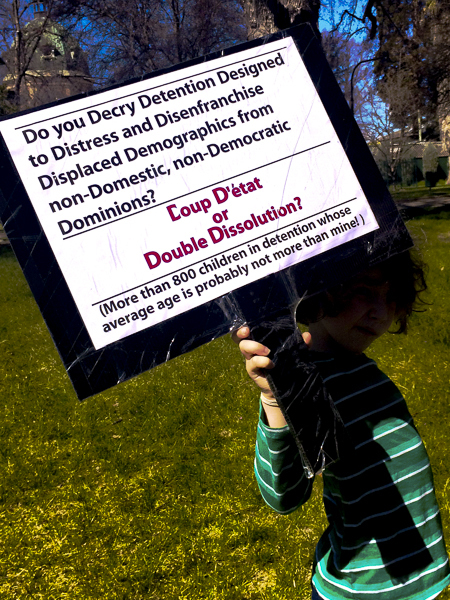 Imagine if it were your child imprisoned? 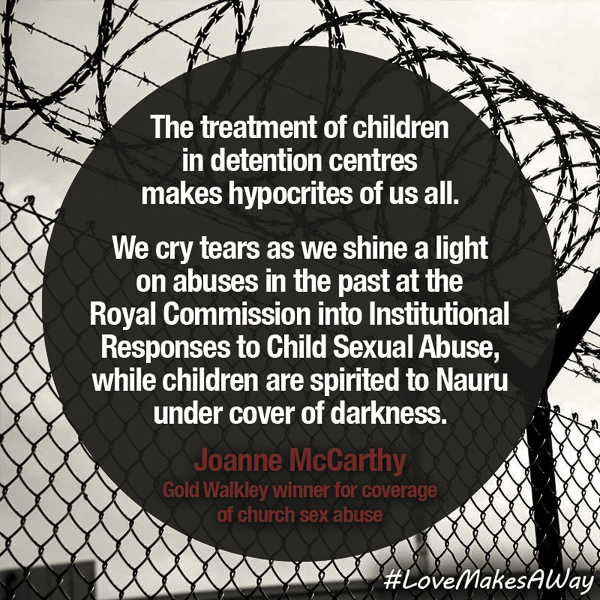 These are the opening words in the foreword of the much maligned but rarely read by the government, report called “The Forgotten Children” written by the Australian Human Rights Commission and completed in November of 2014. Much criticism from the government centres around the presumption of earlier completion of the report and there was no reason to release it when they did other than political “partisanship”. But what about Labor, eh??? First, it can’t have been completed before the Abbott Government as it mentions both Labor and Liberal Government’s treatment of Asylum Seekers and addresses critically and in favour of approaches to the situation from both governments. The introduction while citing the Liberal Government occasionally, does focus its criticism on the previous government’s failures in this arena. Secondly, in an attempt to give Abbott’s government a fair appraisal, (especially as they claimed they would be “better” and stop the boats) sometimes the explanation for holding off is far simpler than anyone wants to recognise. Were you in the Human Right’s commission you could hardly have anticipated the backlash they received for trying to be fair to both regimes. Abbott had every chance to show that he was better than Labor at handling Asylum seekers. About what Am I talking? Third, and important to note that the commission did produce a report in 2013 called “Asylum Seekers, Refugees and human rights: A snapshot report”, for the many that question “why they didn’t do so”. Well, they did! I spoke with Gillian Triggs at Selbourne Chambers adjacent to the Supreme Court of NSW about this very matter recently. In regards to this interim report released in Labors Government in 2013, I asked her whether it had been released to the government. She not only assured me that it had, but as with many of similar reports, the government authorities declared that they were far too busy to read it. When I asked her why the media and government had accused her of not producing a report during the Labor administration, she declared that it was simply “factually inaccurate”. She reflected that the government just made statements without any regard to their accuracy. Consequently, these declarations were perceived as valid independent of them being “factually inaccurate” (a phrase she repeated a few times). She said that the answers to the question of a report released during the Labor administration were brought up during the government’s inquiry chaired by Ian McDonald, but were largely ignored by the government in their public accusations. Again, it would require reading and to be paying attention, rather than regurgitating partisan and uneducated criticism for which this government showed a strong predilection. Search for it yourself and read it yourself, it is on the Australian Human Rights Commission website. Continuing and just so you can say you have read it from beginning to end (although skipping the 200 pages in between) here is the final recommendation of that it provides on page 206. 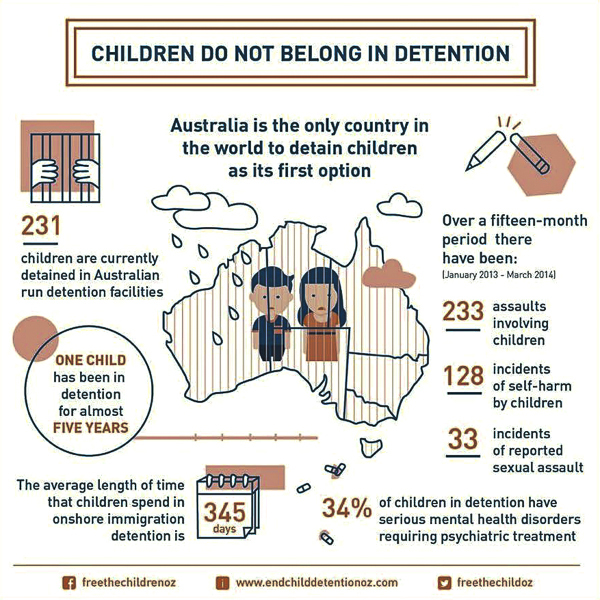 While children show noticeable improvements in social and emotional well being once released from detention, significant numbers of children experience negative and ongoing emotional impacts after prolonged detention. 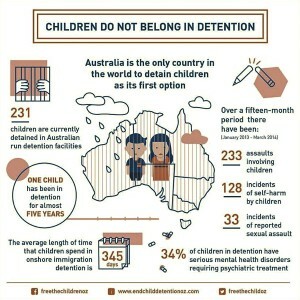 The Commission makes the general finding in chapter 4 (supported by the evidence in chapters 4 and 6 to 11) that the mandatory and prolonged detention of children breaches Australia’s obligation under article 24(1) of the Convention on the Rights of the Child because of the impact of prolonged detention on the mental health of people detained. Where rights are found to have been breached, there should be appropriate reparation, including compensation, and, where needed, measures to promote physical and psychological recovery, rehabilitation and reintegration… (General Comment No 5, paragraph 24). What we in Australia are comfortable doing to children! Aside from what the government have called it, the fact is, that few of them – if any at all – have bothered to read it. Especially Senator Ian “I haven’t bothered to read the final report because I think it is partisan” Macdonald who lead an inquiry into the report) and that in itself is indicative of the intelligence involved in their criticism of it. If you intend to be critical here, then before you do, here is the link so you can read all the pages in-between that I missed here but have read.